The moment has come to release GM Mihail Marin's second part of his survey on the Grunfeld Defence (in order to examine Part 1, click HERE). In his current survey, GM Marin deals with some of the most critical White's responses to the Grunfeld Defence such as the classical main line in the Exchange System and the so-called Russian System. True to his creative approach to the opening, in a number of well-known theoretical lines, the author suggests original continuations which are not extensively tested in practice. Of course, every suggestion is based on solid positional grounds. In the beginning of Positional Gruenfeld Repertoire - Part 1, the reader is provided with 4 pawn structures that everyone should know in order to better understand the theoretical part of the database. Being fundamental, the 4 pawn structures are also important for our understanding of the current database. Nevertheless, there is one more must-know structure in order to have a complete knowledge on the second part of the Grunfeld series. This structure on the diagram is quite typical for the main line in the Exchange System. Going ahead, I will say that in this line, GM Mihail Marin suggests attacking White's center by means of e7-e5. This type of middlegame positions is explained in eight games annotated in detail. 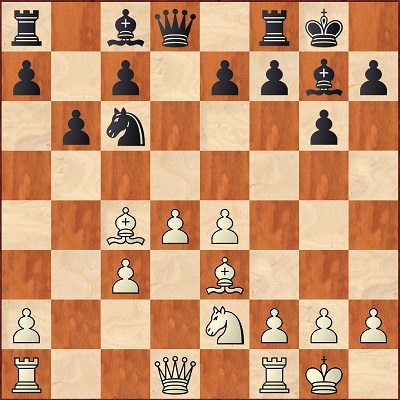 In order to get a better idea of the subtleties of this structure, let's take a look at the critical position of the old game Pavel Martynov - Vassily Ivanchuk played in 1986. We have reached a typical structure. It may seem that White has some kingside attacking chances since Black's minor pieces are stuck on the opposite wing. 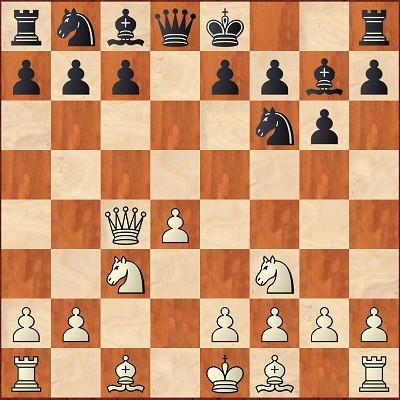 But White's regrouping is not perfect either since his knight not only stays in the rook's way but also fails to take part to any constructive plan. It does not contribute to the defense of the relatively weak c4-pawn and it cannot put pressure on e5 easily. This is one of the reasons why the plan with ...e7-e5 mainly works against the exchange variation with Bc4 and Ne2 and not against the systems based on Nf3. Below, you could examine the annotations of the game Pavel Martynov - Vassily Ivanchuk which is the first one of the eight games dedicated to the structure. As it was the case in his first database, after examining the typical middlegame positions, GM Mihail Marin dives into the complex theory of the Gruenfeld Defence. We have the most classical Grunfeld position. 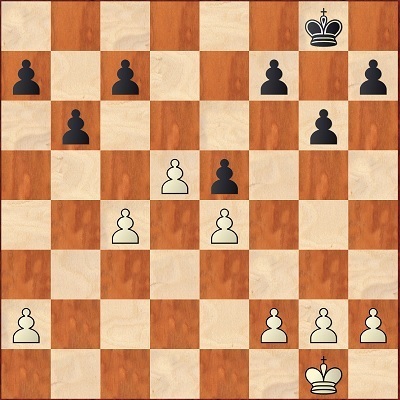 White has occupied the center but Black is ready to attack it by means of c7-c5. In Part 1, the author deals with the continuation 7.Nf3 followed by 8.Be3. Definitely, this is one of the most challenging set-ups. Nevertheless, the absolute main line in this position is 7.Bc4 followed by 8.Ne2. This line is dealt with in the current database. Before start examining the main line, GM Mihail Marin provides the reader with a decent weapon against White's other options on move 7. Let's take a look. This is the first of a group of three systems (also including 7.Qa4+ and 7.Bb5+) aiming at crossing Black's most natural queenside plan, ...c7-c5 followed by ...Nc6. But all these lines imply early white commitments in a moment when Black is very flexible still, so they do not pose objective problems. At the same time, one has to know what he is doing as the character of play deviates from the usual course. The move examined in this line prevents ...c7-c5 physically, but this will not last. Besides, the bishop is far from the optimal square on e3, leaving the d4-pawn somewhat vulnerable. At this point, Mihail Marin suggests the logical 7...Nd7. It is best to speed up the queenside counterattack, in order to create the potential threat ...cxd4 and ...Qa5+ before White gets castled. True, the knight will not go to c6 anymore, but the a3 bishop will also be anything but a well-placed piece. This line is covered in CHAPTER 1 of the database. Moving the queen so early is an even higher commitment than 7.Ba3, but White relies on the fact that the queen's mobility will allow him retrieving the harmony after achieving the initial aim of taking Black away from the usual paths. Also, in this position, the author remains true to his concept and suggests 7...Nd7. This is a flexible developing move. After finishing the development, Black will be ready to strike in the center by playing ...c7-c5. In some cases, the move ...c7-c5 could be followed by a7-a6 and b7-b5. The analysis of GM Marin proves that Black has enough time to generate counterplay by making use of the exposed position of White's queen. 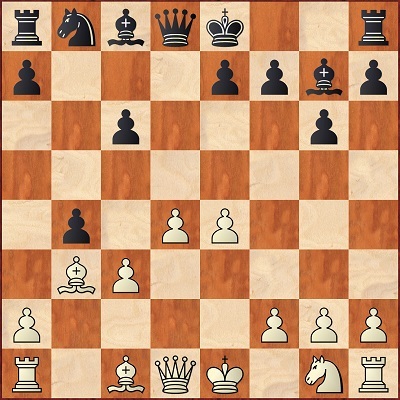 The move 7.Qa4 is dealt with in CHAPTER 2. From the whole group of systems, this implies the smallest commitment as after provoking the desired effect that bishop can return quickly to a favorable square. But the main drawback of the last move is speeding up Black's queenside expansion, true, in a rather unusual way. 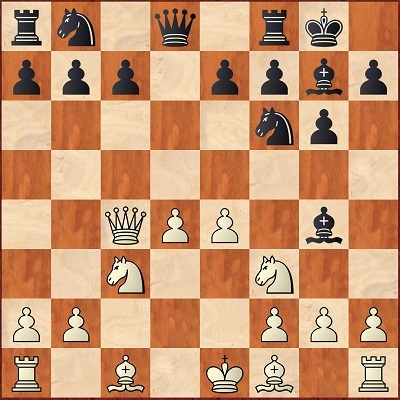 An unusual but quite effective way of undermining White's center, enabled by the loss of time caused by the bishop's repeated moving around. After exchanging the c3-pawn Black will usually play ...Ba6, either preventing White from castling if he plays Nf3 or putting the d4-pawn under serious pressure after Ne2. 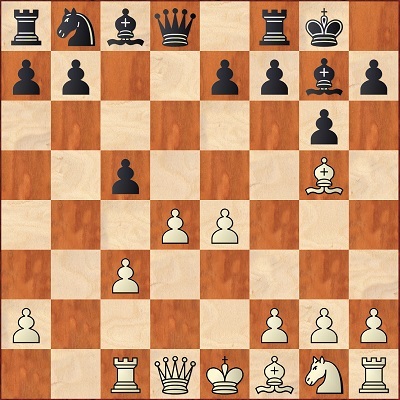 In this position, White has many moves but it seems that is doing more than fine in every single line. This variation is examined in CHAPTER 3. This move does not take measures against Black's increasing pressure against d4. This implies hat very soon he will either have to make a positional concession or sacrifice material. The difference with respect to the 7.Rb1 line is that the rook is within the g7-bishop's range, so in the main line White will sacrifice a whole exchange and not only a pawn. White obviously has compensation for the exchange due to his strong bishops and space advantage. But Black can stabilize the position and maintain approximate equality. This position is extensively analyzed in CHAPTER 4. A very recent discovery. With the exception of one game, this was not played before 2004. The move surely looks illogical as it does not contribute to the defense of the d4-pawn, making the center looking vulnerable. 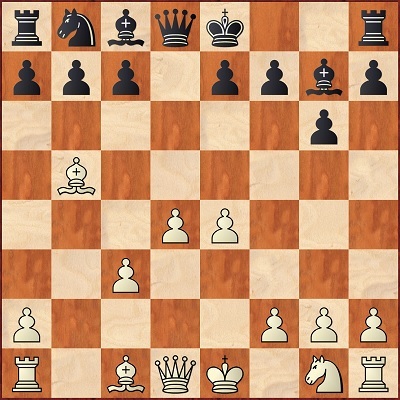 White's idea is to restrict Black's ideas based on ...c7-c5 followed by Qa5 by putting pressure on the e7-pawn. 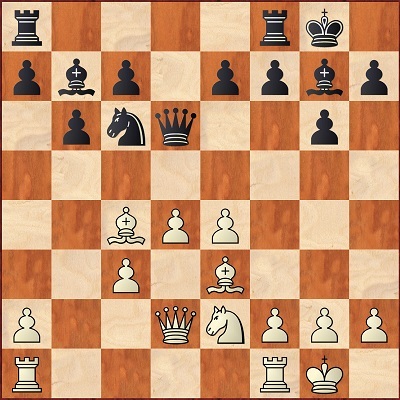 In this position, White has two main options - 9.d5 and 9.Nf3. 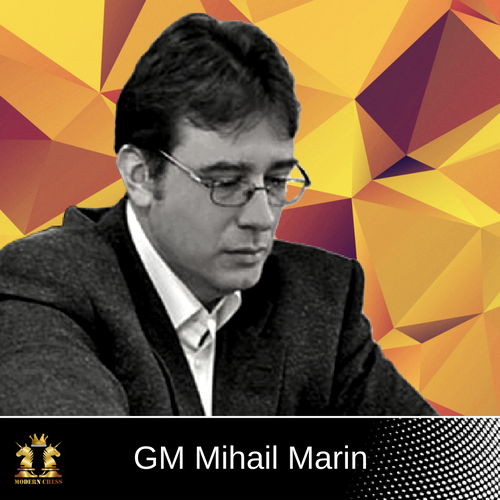 GM Mihail Marin proves that in both cases Black has enough resources to put considerable pressure on White's center. This line is featured in CHAPTER 5. This is the classical main line in the exchange system. 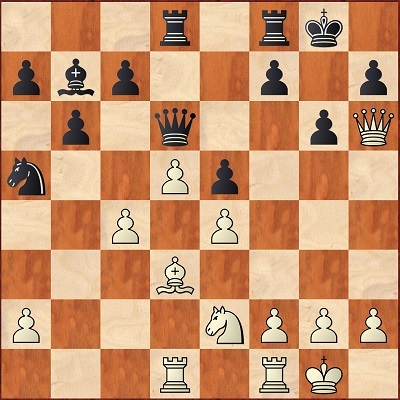 White prepares to develop the knight to e2, in order to avoid the pin with ...Bg4, thus ensuring the integrity of his center. But at the same time, the knight may have to stay passive for a long while, moreover failing to control the relatively weak c4-square. All these make the position very sharp strategically and frequently tactically, too. One important problem when building up a repertoire (for either color) is that the system has been heavily analyzed and one cannot deal without analyzing a whole bunch of forced lines too easily. But there still is such an insufficiently deeply examined area, if Black refrains from the usual ...c7-c5 in the favor of ...Nc6. This is how I mainly met 7.Bc4 in practice and this is the system I will examine now. By refraining from an early ...c7-c5, Black keeps some mystery about his real intentions. 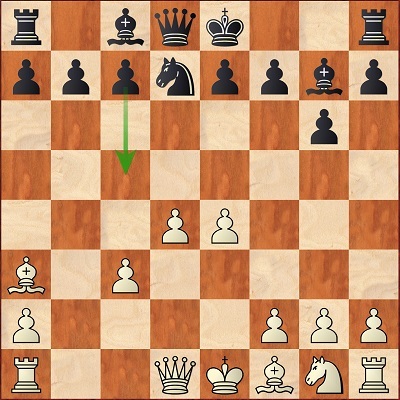 In principle, his main way of breaking the center is ...e7-e5 but we will see that this has to be carried out with some care. 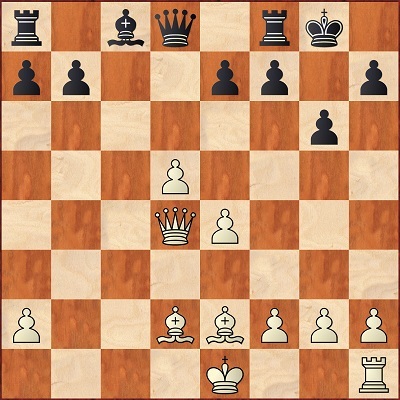 In this position, White's main move is by far 9.0-0. In his annotations, however, the author also examines the continuations 9.h4 and 9.Ba3. In CHAPTER 6, GM Marin mainly focuses on the position arising after 9.0-0 b6 10.Bg5. Nevertheless, it turns out that pinning the e-pawn is not too effective since Black usually does not hurry with breaking in the center anyway. This is the main tabiya and logically so. White achieves the optimal regrouping for the 7.Bc4 system safely defending d4 and keeping the flexibility of plan choice, mainly Qd2 and Bh6 but also f2-f4. This is the case in most lines with ...c7-c5, too. This is the most flexible continuation. Black connects the rooks and keeps all options open. Depending on the circumstances, he could attack White's center by means of e7-e5 or by playing Na5 followed by c7-c5. In the absence of direct pawn contacts, White has a wide choice at his disposal. In his analysis, the author shows that Black has a decent position in all the lines. This variation is the topic of CHAPTER 7. The Russian system is one of the most ambitious ways of meeting the Gruenfeld. 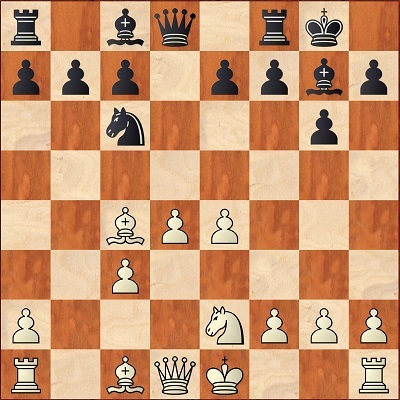 White builds up a massive center without allowing the exchange of one knight and without offering Black the standard plan based on ...c7-c5. The main drawback of this system is wasting time with the queen which, to all probability, will soon have to move again. This is one of the oldest systems of defense, designed by Vassily Smyslov. Black plans setting up piece pressure against the enemy center with the following coherent plan: ...Nfd7-b6, ...Nc6 and ...e7-e5 or if d4-d5 then ...Ne5 or ...Na5 followed by either ...e7-e6 or ...c7-c6. Nowadays, the forcing 7...Na6 and 7...a6 are more popular but I find the Smyslov setup quite logical with the important positive side that it does not require memorizing long forced lines. All it takes is understanding the position. In CHAPTER 8, GM Marin deals with the continuations 8.Ng5, 8.e5, and 8.Ne5. 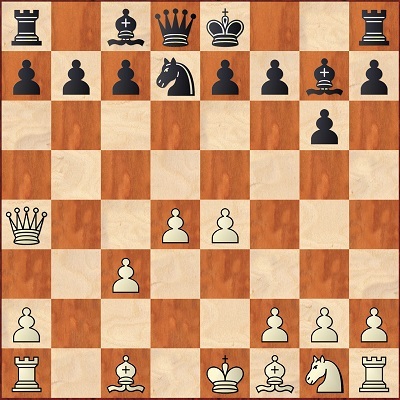 Also, it is important to point out that in the same chapter he examines a bunch of alternatives to the move 7.e4. In all the lines, the suggested weapons seem to be quite convincing. The moves 8.Be3 (even combined with Be2 in different move orders) is dealt with in CHAPTERS 9 and 10. The author puts a lof of effort in examining the positions arising after 8.Be3. According to the current state of his analysis, Black is in a pretty good shape in all the lines.